Teleopti continues to expand its global footprint at a rapid pace. Building on its successful international expansion with new offices in Beijing and New York City in 2010 and São Paulo in 2011, Teleopti opens yet another office in Kuala Lumpur. Teleopti brings an advanced and user-friendly interface, sophisticated forecasting and scheduling algorithms, a focus on employee empowerment, and the highest customer satisfaction in the industry worldwide to the growing APAC market. New Business Manager for APAC, Mervyn Lim, comes with 14 years’ experience in Contact Center related sales, pre-sales, operations and consulting. Prior to joining Teleopti, he was attached to Fusion responsible for Verint Workforce Optimisation Solution Sales and Pre-sales covering the Asian market. 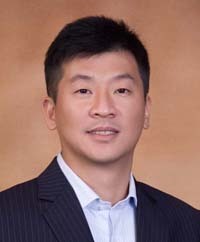 “The Asia Pacific has been a high growth region for contact center dominated technologies and solutions and the market will continue to see growing opportunities in Workforce Management particularly in China, Indonesia, Vietnam, South Korea and Australasia.” says Mervyn Lim, Teleopti’s new Business Manager in Kuala Lumpur. His immediate task is to fine-tune sales strategies focusing on developing new channels and customers alike in the APAC region. Teleopti has developed several strong partner relationships in the APAC region. Above all the strong relationship with Huawei has accelerated Teleopti’s expansion in the region. With presence both in Beijing and now also Kuala Lumpur growth is expected to accelerate. “After the successful launch in China in 2010 we are now ready to proceed the expansion in APAC which offer a great potential for continued growth” says Olle Düring, CEO of Teleopti.